Connect your device to your PC or Mac with DURAGADGET's high speed mini USB data sync cable. This USB sync cable will support the connection of your SLR digital camera. Featuring a 5 pin mini B USB port, the cable will connect your SLR directly to your computer for speedy data transfer without the need to remove your memory card. Offering an optimal transfer rate of 480Mbps with compatible USB devices, this high specification device cable boasts backward compatibility for the connection of USB 1.1 devices at a transfer rate of 12Mbps. 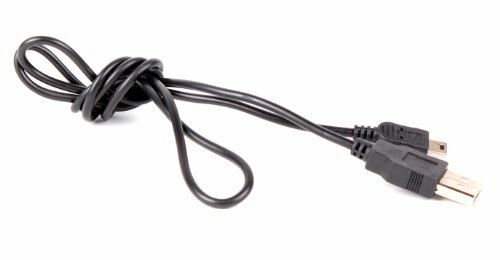 This device cable allows for the connection of any USB enabled peripheral with a (5 pin) mini B port to a PC or Apple Macintosh computer system.